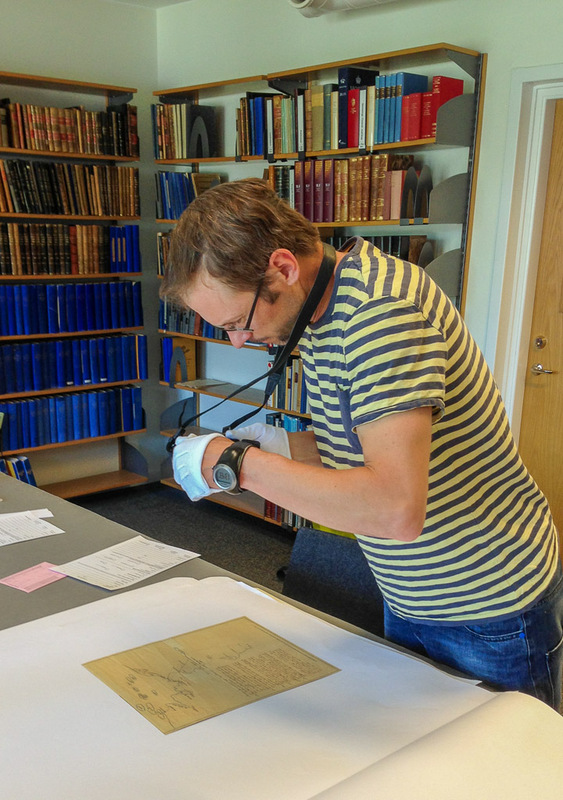 Yesterday I went to Stockholm together with Mattias Jaktlund to visit the Military Archives of Sweden, a department of the National Archives of Sweden. 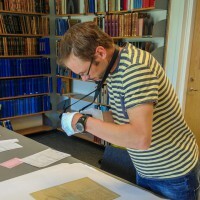 Jaktlund is the manager of a joint Norwegian and Swedish project developing and managing the cultural heritage centered around general Carl Gustaf Armfeldt’s military campaign in Tröndelag, Norway, in 1718-1719. As a result of losing the battle of Poltava in 1709, Sweden not only lost control of vast areas of land in Europe, but also suffered a significant decline in political power. To regain political power the King Charles XII of Sweden, turned to the neighbouring country of Norway. With one army attacking in the south, led by the king himself, and one army led by General Carl Gustaf Armfeldt set to invade and annex Trondheim i the north. The campaign ended in disaster and the Carolean death march where 3000 swedish soldiers got caught in a snow storm and froze to death during the retreat across the border mountains. 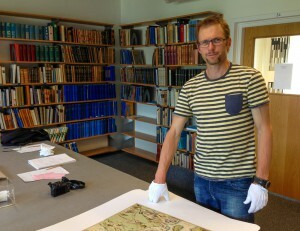 Lars studying an old map showing Armfeldt’s military operations in Norway. My part in this bigger project is to develop a geographical visualization of these historic events in Google Earth. This solution will be very similar to what I am developing for the Sven Hedin Project and a perfect job for someone that loves historic maps. 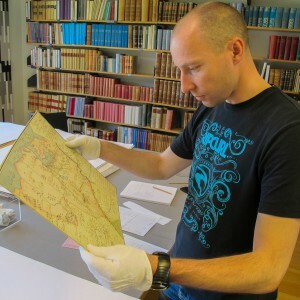 Hedin’s original maps are also kept at the National Archives and I’m planning to research this archive thoroughly in the future, but this was a sneak preview of what kind of treasures can be found here. We examined all the maps connected to the Armfeldt campaign and really struck gold. The nearly 300 year old maps are really beautiful and it was very exciting to hold one of these maps in my hands, knowing the historical significance of these items. 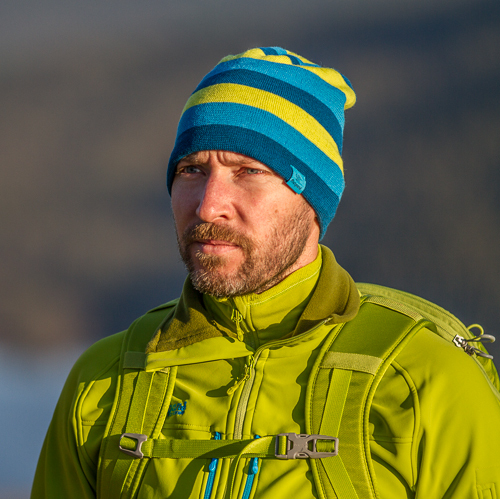 Mattias Jaktlund is manager of the Carolean project.